Seems that Roubi misses me. The server keeps acting up and apache keeps crashes. There is not just one thing that seems to causing the problem – one day it’s Tomcat the next day it is the /mnt disk space that has run out of room. Since it is midnight in BKK and I have now had almost 5 hours of sleep this afternoon/evening I was a little more focused as I poked around on the machine and I think (hope) that I have made it a little more stable. 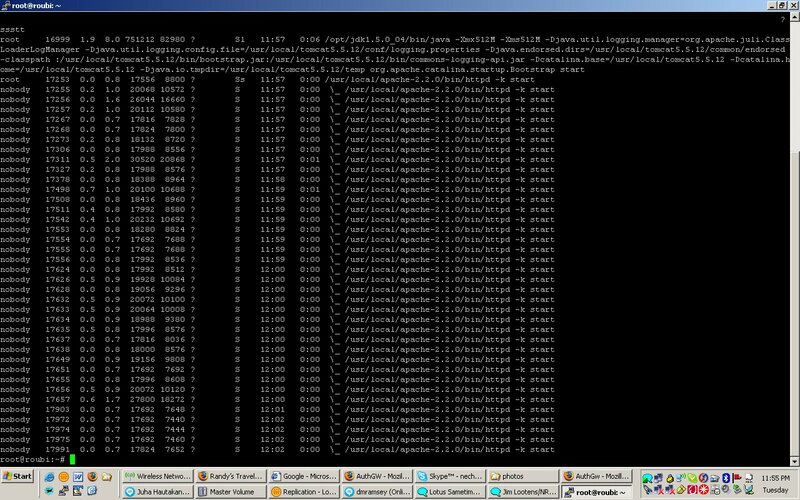 At least stable enough for the server to keep running until I return to AVL and I can do more sysadmin work. So, having a wireless connection in my room along with a VPN is a blessing and a curse. The blessing is that when the server has problems I can do everything I normally do in my office while I am 10,000 miles away. The curse is that even though I am 10,000 miles away, I am doing everything I normally do while I am in my office. Now that things seem more stable I will try to sleep some more before going back to the conventionhall in a few hours. nighty-night! This entry was posted on Wednesday, November 19th, 2008 at 12:10 am	and is filed under Uncategorized. You can follow any responses to this entry through the RSS 2.0 feed. Both comments and pings are currently closed. Entries (RSS) and Comments (RSS). 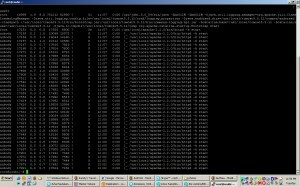 21 queries. 0.179 seconds.